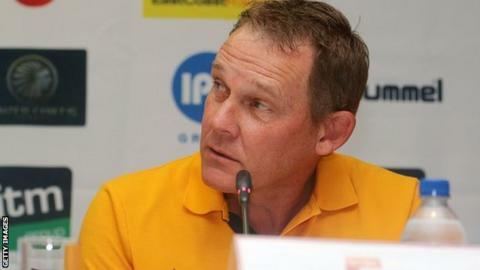 Former South Africa captain Neil Tovey has been discharged from hospital exactly a week after suffering a heart attack in Durban. The South Africa Football Association confirmed the news, describing his impressive recovery as "a miracle." On Thursday, his brother Mark Tovey had spoken of Neil's continued progress. "He is now able to sit on his own, walks unaided and I must say we are really in a good space as opposed to the beginning of this week," said Mark. Neil Tovey, 54, famously captained South Africa when they won the 1996 Africa Cup of Nations. Doctors fought to save his life when he was admitted to hospital last Sunday after he had collapsed during training for a charity cycle race. He was taken off life support the following day. Mark Tovey said he wanted to thank all South Africans for their goodwill gesture and prayers.